The new year for us always brings about a wild spate of purging the closets and shelves and reorganizing. 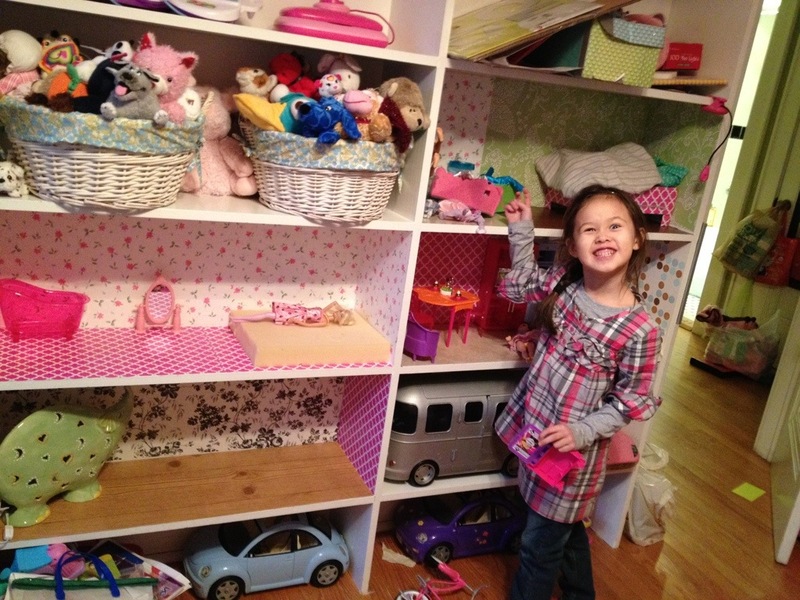 One of the favorite projects for my girls and me so far this year was creating a home for their Barbie dolls, nestled into a set of built-in bookcases in their bedroom. All the fancy finery of wallpaper and flooring was achieved with fun Contact paper (aka, adhesive shelf liner paper). We’re furnishing with the random bits and pieces we’ve already got and we are crafting some other furnishings and filling in with nice eBay scores. It’s been a fun and evolving project that we’ve really been enjoying. The website has been refreshed! A few nuts make it more fun!